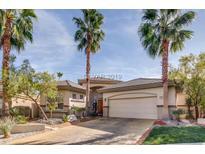 Below you can view all the homes for sale in the Canyon Ridge subdivision located in Las Vegas Nevada. 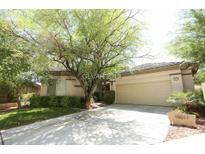 Listings in Canyon Ridge are updated daily from data we receive from the Las Vegas multiple listing service. To learn more about any of these homes or to receive custom notifications when a new property is listed for sale in Canyon Ridge, give us a call at 702-930-8014. Canyon Ridge gated community, single-story 2-bedroom + den home with open floor plan and vaulted ceilings, fireplace, wet-bar and stamped concrete flooring in living room, upgraded bathrooms, granite counter-tops in kitchen, separate ice maker, breakfast nook, custom wood countertops in bathrooms, built in BBQ, outdoor shower, covered patio, beautiful pool, Ring security and Nest thermostat all included. MLS#2060117. Windermere Excellence. PRICED TO SELL and MOVE IN READY! ! MLS#2053604. Platinum R.E. Professionals. The office can be converted to a 3rd bedroom if the new owner desires. MLS#2028143. BHHS Nevada Properties.